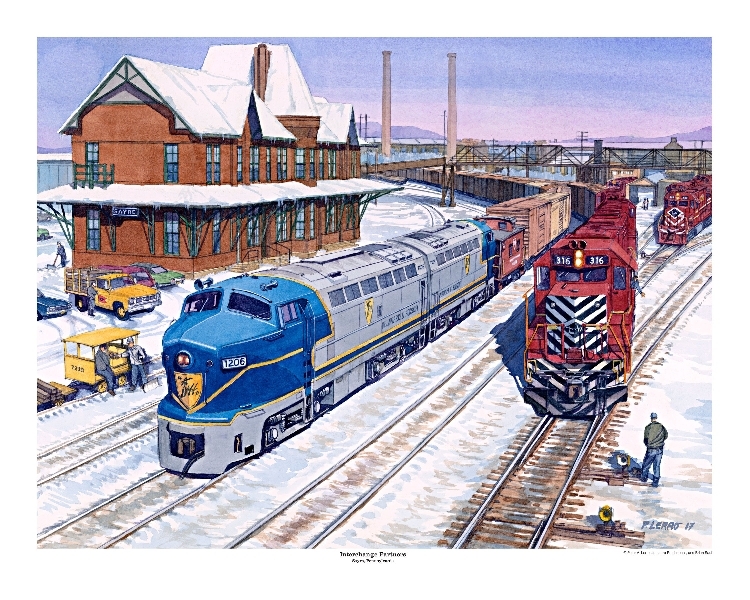 Beautiful 16" x 20" print of the D&H and LV engines staged by the LVRR Train Station. 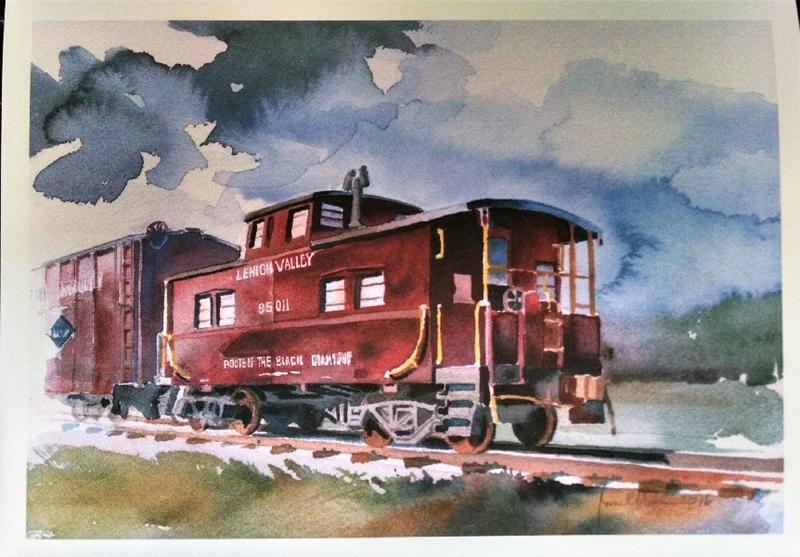 Prints are signed and numbered by P. Lerro. 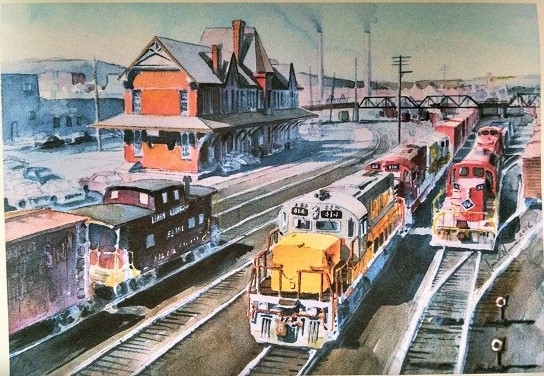 Note Card Print of LVRR Sayre Yard by James Mann, includes mailing envelope. Price $3.50 + tax 0.21 Total $3.71 plus $1.60 shipping and handling.